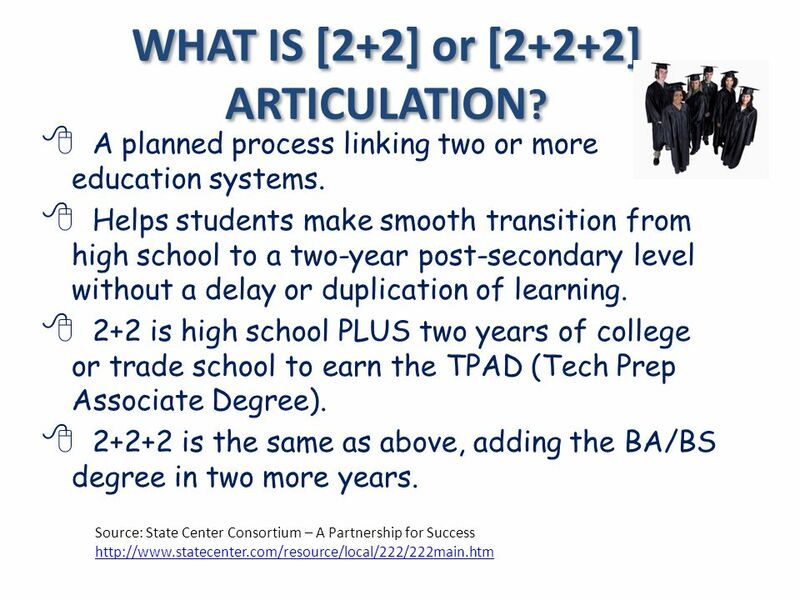 4 Providing a student with a planned program of study incorporating academic and career-related courses. 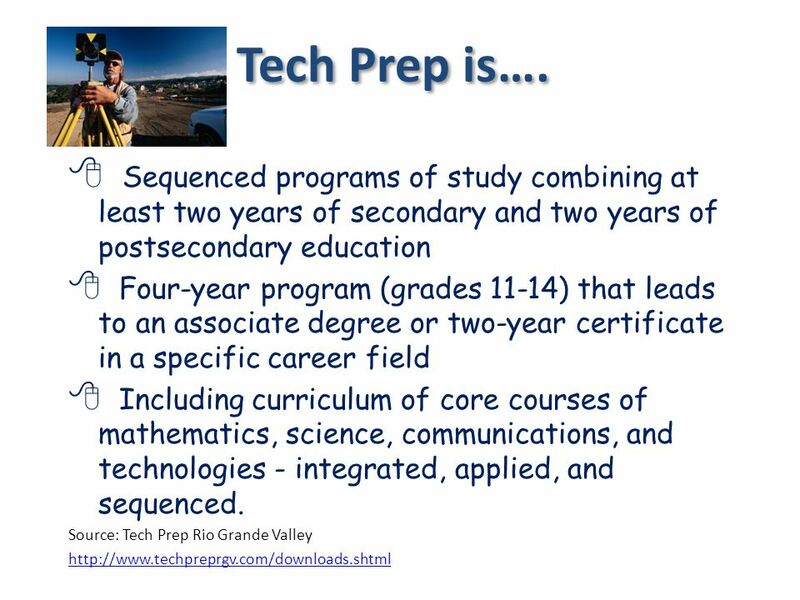 These courses are articulated between the secondary and postsecondary levels leading to a diploma, degree, or two-year apprenticeship certificate Includes a 4+2, 3+2 or 2+2 planned sequence of study in a technical field beginning as early as the ninth year of school. 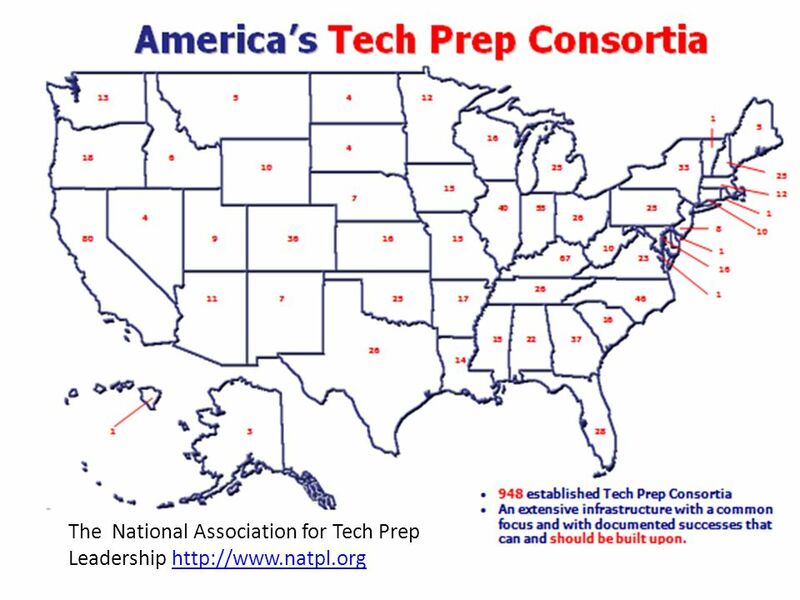 Source: Institute for Workforce Competitiveness http://www.fiu.edu/~xiwc/techprep_overview.htm Tech Prep is…. 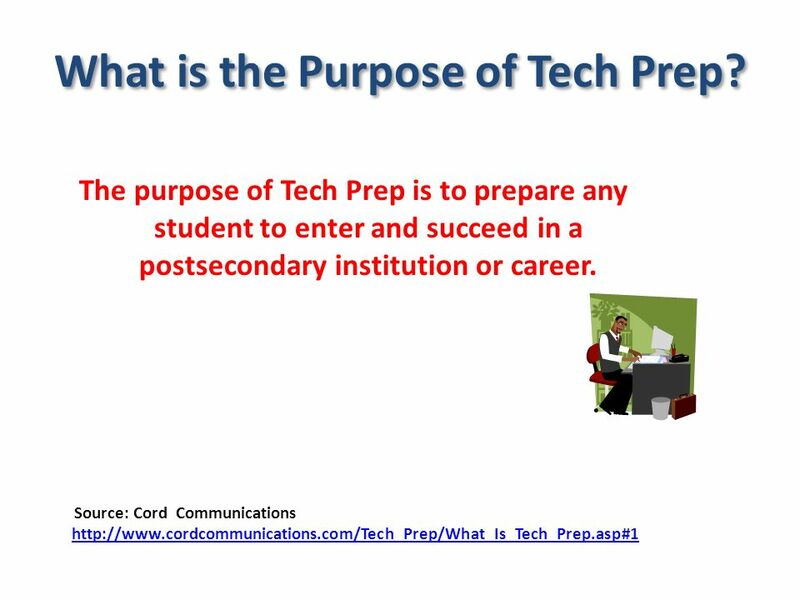 Download ppt "What is Tech Prep? 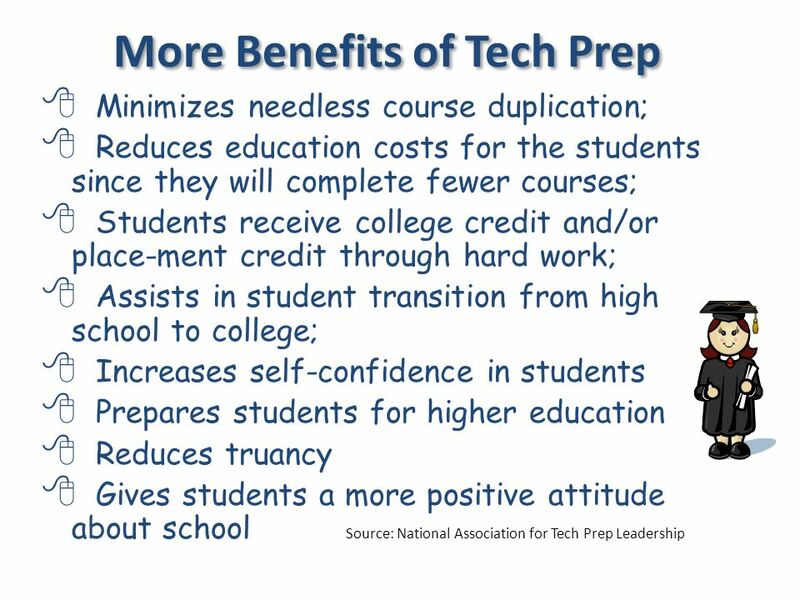 Tech Prep is the national initiative to prepare the next generation of productive, well-trained skilled workers. 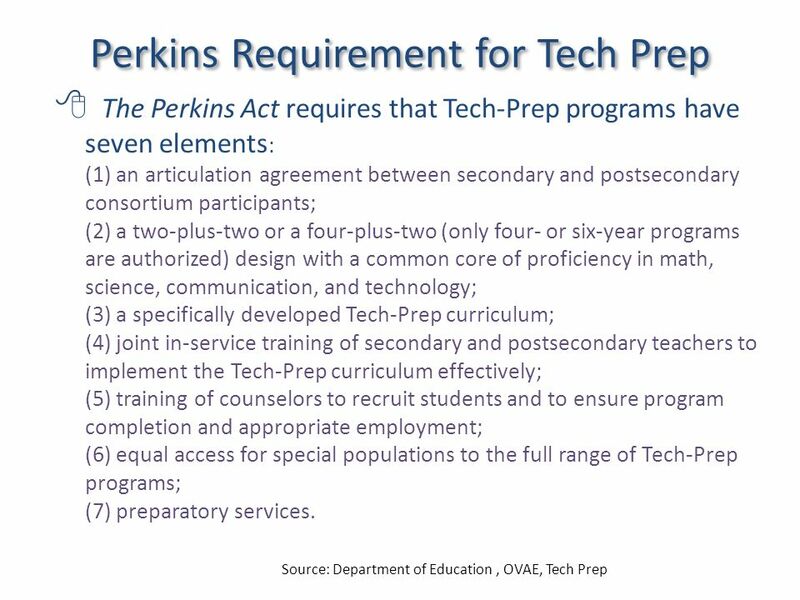 by Debbie Soll Source:"
FY15 Perkins Oklahoma’s State Plan & Local Application Changes ODCTE Federal Legislation Assistance Technical Assistance Workshops May 2014. Challenge to Lead Southern Regional Education Board Tennessee Challenge to Lead Goals for Education Tennessee is On the Move Progress Report 2008 Challenge. 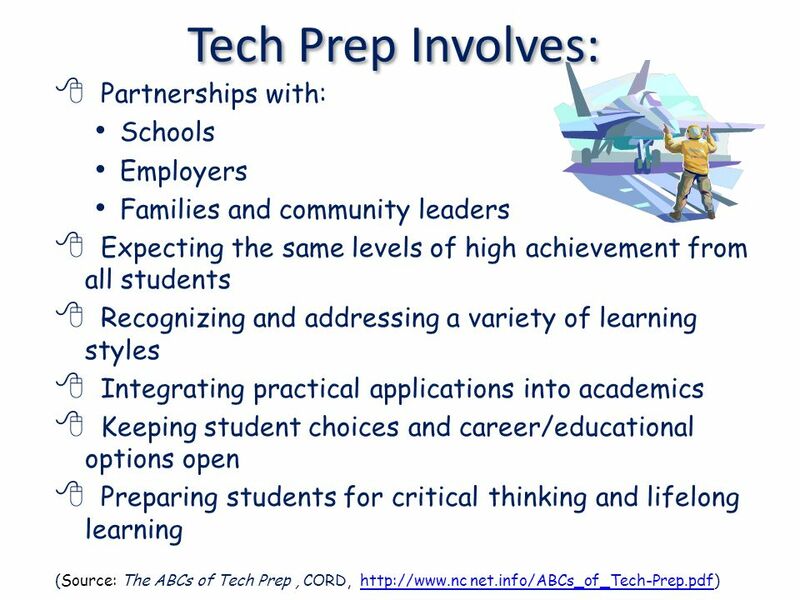 Selecting and Identifying Programs of Study Division of School and Community Academic Programs Camden County College Camden Pathways Professional Development. 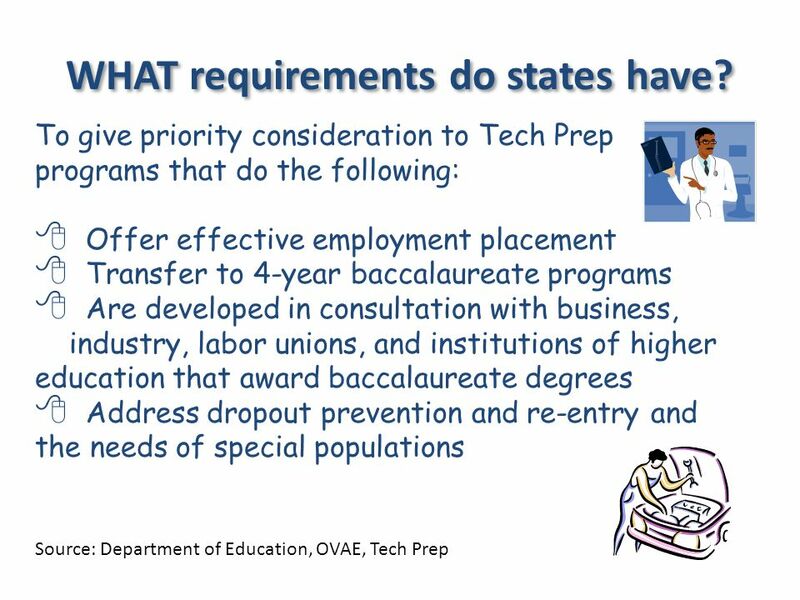 Career and Technical Education in Minnesota Presentation to the Governor’s Workforce Development Council March 13, 2008 Minnesota Perkins State Career. 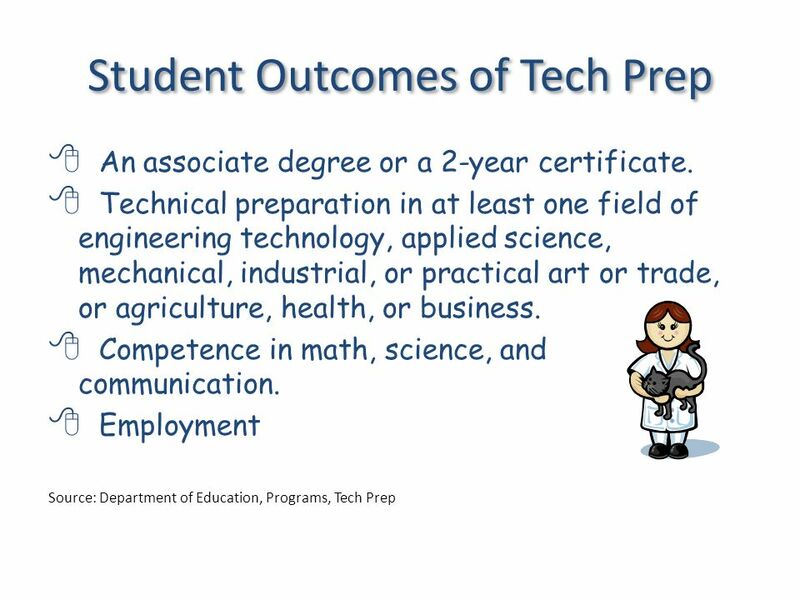 Successful Practices Network Career & Technical Education CTE Program Approval NYS Board of Regents Approved New Regulations for Career. 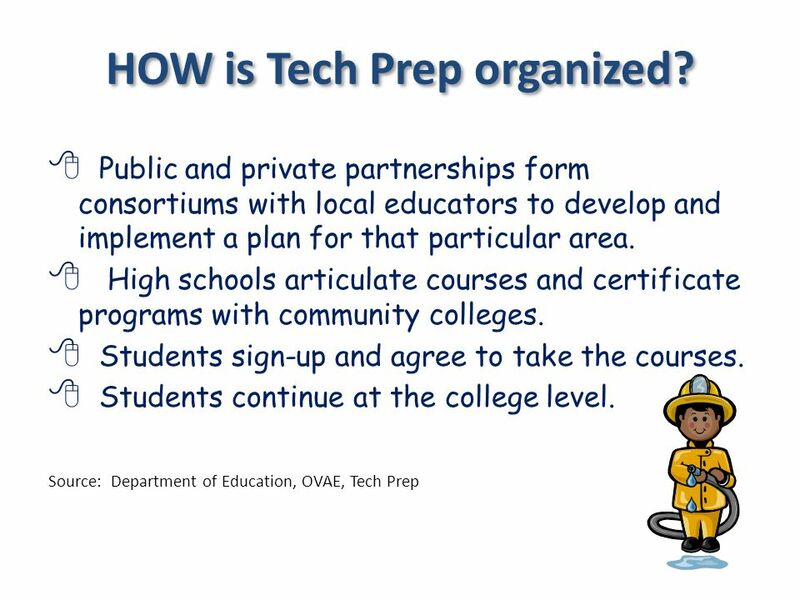 San Diego, California March 26, THENNOW Vocational EducationCareer and Technical Education For a Few StudentsFor All Students For a Few “Jobs”For.